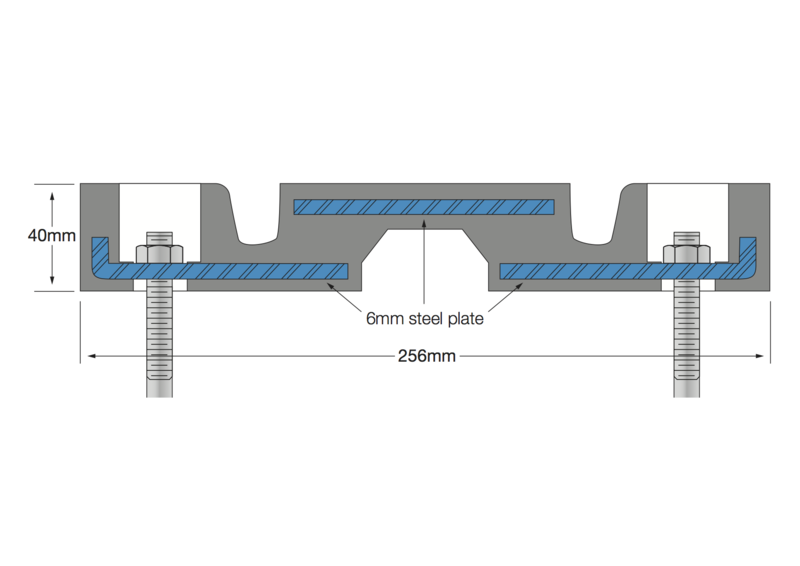 The Latham BEJ Series Bridge expansion joint is supplied in 1220mm lengths, it is designed for long durability, with the metal subsections encased in rubber to ensure the product has good corrosive resistant properties. 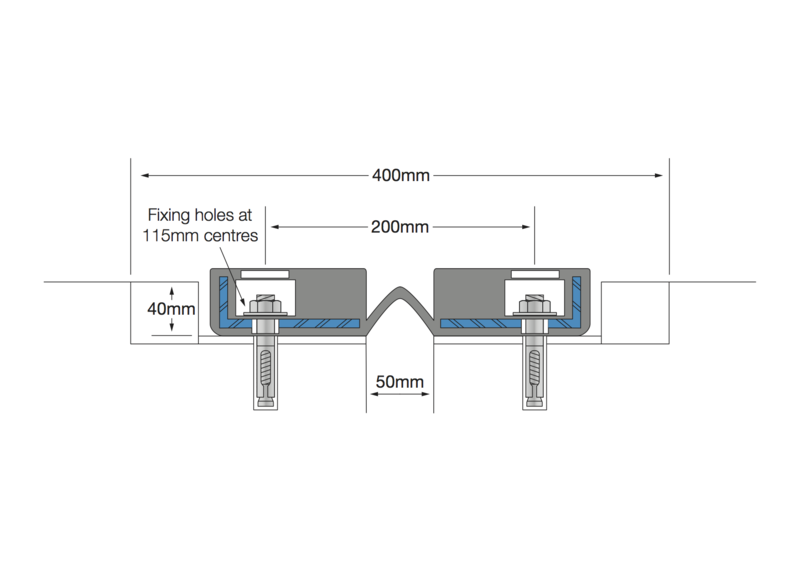 The system is designed to be water tight and the smooth surface is designed to be wear resistant whilst reducing the likelihood of skidding that is often associated with other style bridge joints. Fixings are spaced at 115mm centres. Anchor bolts need to be 12.5mm diameter and should either be cast-in place, epoxy grouted or stud welded as required. The system is designed for a 50mm joint width and will allow 50mm of movement. The system needs to be set into a 400mm x 43mm recess. It requires packing to level and installation with high strength epoxy grout. Contact your Latham representative for further details. The Latham SER Series Heavy Duty Steel Enclosed Rubber expansion joint covers are designed to control movement in roadway type applications. These systems are designed to accommodate high speed vehicular traffic. If the application is slow vehicular and pedestrian like a shopping centre car park, Latham recommend the use of a mechanical expansion joint cover; consider details in the Car Joint Series of this website. The various sizes available are suitable for joint width from 50mm to over 200mm. These rubber expansion joints are strengthened by the fully encapsulated rust resistant steel support plates. The recess width, depth and fixing requirement will vary in accordance with the joint width and required movement. Contact your Latham representative for further details.